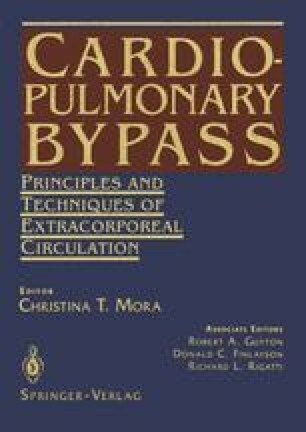 This chapter discusses the conduits used for conducting blood through the extracorporeal circuit. These conduits must be large enough to offer a low resistance to flow, yet small enough to minimize priming volume. To avoid trauma to formed blood elements, they should have smooth, nonwettable inside surfaces. Filters are incorporated into the circuit to remove air, debris, and aggregated blood elements. Each of these three circuitry components — tubing, cannulas, and filters — is considered separately.